We will open the Race HQ at the Silver Jubilee Hall at 9.30am where you will collect your number and your timing chip. At 10:35am there will be a verbal Race Briefing at the rear of the Race HQ. Start At 10:45am we will walk competitors from Race HQ, slowly along the Pavement of the B1256, down to the Four Ashes Crossroads traffic lights and across the B1256 and down to the Starting Point at the old Takeley Railway Station on the Flitch Way. The race start is at 11.00am. The 10K distance has been measured as accurately as possible with GPS technology and is overall slightly undulating. It is mostly on the Flitch Way and on grass paths in and around Hatfield Forest but there is also about 0.7 kilometre of road which leads to the finish line. There will be water stations at about 2.5k and 7.5k. The British Red Cross will be providing support at Race HQ and on the course. 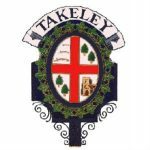 The finish is at the Silver Jubilee Hall where your timing chip will be taken to receive your time and you will receive your Takeley 10K finishers t-shirt. After the main race we will have a 1-mile off-road fun run for children and parents. It will start after the prize presentations for the 10k, at around 1:00pm - Listen for an announcement on the public address system. We would ask you to donate generously to collect your number and we will be providing a medal for all children finishing the run and prizes for the winners of each category. Please click the button on the left to view our Risk Assessment document for you to read before the day. Thank you! “Just a quick note to say congratulations on running such a successful race. Thoroughly enjoyable, great route and superbly organised"